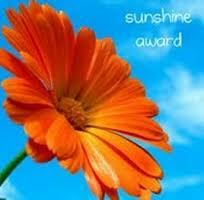 Thank you logo-ligi for nominating me for the Sunshine Award :). I can't lie, it put a smile on my face to know that a blogger out there found me to be a fabulous blogger - feels kinda awesome. So thank you very much. I am genuinely touched. The rules for accepting the award are pretty easy and straightforward (that I like): Include the Award logo in a post or somewhere on your blog; answer 10 questions about yourself; nominate 10 to 12 other fabulous bloggers; link your nominees to the post and comment on their blog letting them know about the award; share the love and link the person who nominated you. 1. Favourite childhood memory: Barbecue's at my aunts with the entire family (good food, good music, and fun times). 2. Real fear I have: Not achieving my goals. 3. Describe myself: Afro-geek-chic (if that's even a word). 4. States I have lived in: Lagos and London. 6. Favourite breakfast: Oats with cinnamon and nutmeg or a strawberry and banana smoothie. 7. Hobbies: Photography, music and travelling. 8. The most important thing I'd tell people: Life's too short to be miserable and not do what it is you really want. 9. One of my passions: This (bookshy). 10. The one truth I have learned: I'm still learning. Thank you much! I follow several of these bloggers as well. I'm going to check out the others now. You are very welcome. I really enjoy your blog.